In this case number 13 is anything but misfortune. 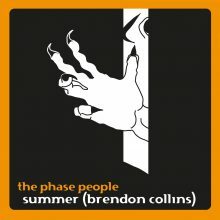 Brendon Collins aka Summer, coming from Saint Louis, is a four-leaf clover for everyone in terms of tech-house. On the dance floor, his tracks truely heat up the crowd, so the thermometer rises in every room with a proper sound system! We say: Hot Summer!